Voices of reason in the ‘climate wars’ | Climate Etc. The study analyzed $556.7 million in “behind-the-scenes” grants distributed by 19 major environmental foundations from 2011-2015 in the immediate aftermath of the failure to pass cap-and-trade legislation in 2010. Nisbet found that more than 80 percent of those funds were devoted to promoting renewable energy, communicating about and limiting climate change and opposing fossil fuels, while only two percent, or $10.5 million, was invested in technologies that would lower carbon emissions like carbon capture storage or nuclear energy. The donations themselves were also very concentrated; more than half of the money disbursed by the philanthropies was directed to 20 organizations in total. But according to Nisbet’s research, that is not where the vast majority of environmental grants are being applied. Funding for non-profit journalism, communications plans, and political campaigns dwarfs that of developing new technologies for carbon abatement. And yet, despite more than $150 million being invested in messaging, polls show that the push has failed to register climate change as a top-tier policy concern for Americans. The key in doing so will be to shift the characterization of climate change from that of a political football to a question of innovation, according to Pielke. In an absence of legislative action and failure to cultivate broad, bipartisan support for long term solutions, policy has been relegated to executive action, which can be reversed once another administration enters the White House. Ultimately, according to Pielke, there is an argument to be made on both sides of the spectrum that acting on climate change will be beneficial in the long term. Market forces can be powerful, as witnessed with the rapid adoption of shale gas once it was established as a cheaper, cleaner fuel source. “Until the community embraces the idea that we don’t know everything about how to solve this issue, politically, technologically, policy-wise, then there is really not a lot of motivation for engaging in that difficult process of building bridges, searching for policies that might work,” Pielke said. Cue the twitter attacks on Nisbet and Pielke Jr.(too numerous and boring to recount here). 1. Going to engage this against my better judgement. The issue at bottom is not about differing theories of change, it is about how we negotiate both the uncertainties associated with climate change and differing values about how we orient toward those uncertainties. 5. There was never any particularly compelling evidence that strategy worked. As early as 2000, research by the Frameworks Institute suggested it was more likely to backfire. But it served a range of other discursive needs so climate advocates remain deeply committed to it. 7. Questioning the agenda was treated as defacto climate denial. Any alternative framing of problem or solution had to be squashed, And while it hasn’t made the politics any easier, it achieved other goals, as Matt Nisbet’s report has demonstrated. 8. The constant ad hominem, guilt by association, and misrepresentation wears you down and changes you. Without naming names, some of us handled that better than others and that is the case across the political spectrum. Being demonized in these ways often radicalizes people. 9. And it has also radicalized the climate debate. Catastrophism on the Left and know-nothingism on Right beget one another. As @atrembath and I wrote in Foreign Affairs last year, the benefits of doing so accrue primarily to opponents of action. 10. Can we put the polarization genie back in the bottle, on climate or anything else? I really don’t know. But I do wonder how those advocating further radicalization of climate advocacy imagine any of this ends. 11. Making ever more radical demands might be a fine strategy were there someone to negotiate with. But by the reckoning of most prominent climate hawks, there isn’t. 12. Nor does it appear that a more inclusive climate coalition is likely to bring larger congressional majorities. Any Democrat-only climate strategy has to be predicated on not only winning but holding purple/red districts over multiple elections. 13. These are precisely the districts that radicalized climate rhetoric alienates culturally and the green policy agenda punishes economically. Since the failure of cap and trade in 2010, climate activists have taken rhetoric to 11, and what it got them was Trump. 14. I don’t imagine I am going to convince many proponents of these strategies. But I do hope we might figure out how to have a more civil conversation about our differences. 15. In my view, that starts with how we talk about science. Is/Ought distinction matters. Climate scientists are also engaged citizens. And they bring important expert judgement that deserves consideration. But that is not the same thing as science, much less consensus science. 16. Climate activists, similarly, have every right to be alarmed about potential for catastrophic climate impacts. But that is not consensus science. There is no consensus science inconsistent with lukewarmist views. They are legitimate and should be engaged respectfully. JC reflections: Well, there are certainly some sane voices out there. One can only hope that the extremists on both sides would stop demonizing them an actually listen to them. This entry was posted in Politics, Sociology of science. Bookmark the permalink. The only rational progress is to investigate whether or not global warming is actually harmful. If not, there is no rational justification for any climate polices that attempt to reduce global warming. The post has an underlying premise that global warming would be harmful or dangerous, and therefore we need to do something to reduce global warming. But what is the evidence to support that premise? 556.7 million goes to ‘behind the scene’ grants. Of those 80% goes to promoting renewable energy, communicating, and opposing fossil fuels. Only 10.5 million goes to carbon capture, abatement, and nuclear energy. What do you consider abatement? Carbon capture is worse than totally wasted. Nuclear energy is good, no matter what else happens. Sorry it did not say abatement. My bad. Carbon capture is something they are doing with the new coal plants. I believe It’s just pointing out that very little is being spent on the actual goal of effectively reducing greenhouse gases. Whether you think that is worthwhile is another matter. In other words typical bureaucratic misappropriation of funds. There’s no way back from where this stupidity has gone. Once things degenerate into hatred and zealotry it will take a generation for it to cool down again. As some wise sole pointed out several years back: this will fade into obscurity rather than being solved or argued out logically. We long ago got tired of being bombarded 24/7 with the alarmist BS. Other, real, problems will demand everyone’s attention and the golden age of climatology funding will be over. Carbon capture is something they are doing with the new coal plants. That makes new coal plants cost too much so not many will be built to replace old coal plants that should be replaced. The people who make these decisions that harm our economy and electric power, build their houses with backup generators that kick in to protect them from the outages they force on the rest of the population. I believe It’s just pointing out that very little is being spent on the actual goal of effectively reducing greenhouse gases. Whether you think that is worthwhile is another matter. Carbon Capture is stealing CO2 from the atmosphere. CO2 makes green things grow better with less water. Removing CO2 harms all life on earth that depends on green things that grow. The goal of reducing greenhouse gases is not worthwhile for anything. Carbon capture storage is unethical. Carbon capture cycling I think is ok, assuming it doesn’t grow too much or too fast. Or is done disproportionately in the developed world. Of course, humans and all other life forms capture carbon, most of which was atmospheric carbon dioxide at one point, to create living cells, so there’s that. As I said here https://judithcurry.com/2018/06/10/voices-of-reason-in-the-climate-wars/#comment-874042 – and provided supporting explanation and evidence in the next three comments – any warming we get is probably beneficial, not damaging and not dangerous. However, as is widely recognised, cooling would be damaging, and substantial cooling would be catastrophic. The points in my comments have not been refuted with relevant valid argument or evidence. Say, Peter, who could vote for the Minister for Goldman Sachs? No one has ever proved man-made CO2 has or will cause any warming. No one has proved that natural climate cycles stopped and that now man-made CO2 is needed to cause or prevent any warming. They don’t even discuss or debate about what are the causes of natural climate cycles. I do mean that the alarmists don’t discuss and debate natural climate cycles and the lukewarmers don’t discuss and debate natural climate cycles. The war against fossil fuel has nothing to do with climate. They just pick any issue they can use to scare people so they can tax and control them. No, not directly, but we live in a world of lots of unprovable, but still likely occurrences. Warming would appear likely because of radiative forcing change. Harm from warming, however, is not demonstrably likely. That big green notch is the proof that CO2 causes warming. Thanks! I have met Happer and listened to him in person. I don’t know if he remembers me. Bottom line! Natural Climate Forces take whatever forcing in stride. When it gets warmer, when oceans get warmer it is because sea ice has thawed and more exposed water has warmed from the sun. Sea ice is little, ice shelves have broken off, more ocean is exposed to the air and evaporation is more. The ice donuts around Antarctica and Greenland and ice near other land is very little. The huge evaporation provides moisture for snowfall to rebuild ice on land until it gets heavy enough to advance and cause cooling. If there was more warming from anything, the sea ice and ice donuts thaw sooner and start the correcting snowfall sooner. The temperature oceans thaw is the thermostat setting. Things can push temperature around but it will always snow enough and snow soon enough to limit the upper bound. Later, when oceans are cold enough the sea ice forms again and stops the snowfall and ice depletes and retreats and the next warming cycle starts. It is a natural, well bounded cycle, and we cannot kick it out of bounds or change the bounds. The bounds are set by the freezing and thawing of the ice that covers the oceans more in colder times and less in warmer times. Ice cores from both hemispheres show temperatures are bounded inside the same bounds, even when the solar input cycles with the tilt of the earth and when the ocean and land configurations are different. The common factor in both hemispheres is that both have land with multi-year ice and oceans. Ocean water freezes and thaws at the same temperature and turns snowfall off and on in the same temperature bounds. When there is too much ice snowfall is turned off until oceans thaw. When there is not enough ice, snowfall is turned on until oceans freeze. Ice core data proves this. It does not matter what causes warming, it does not matter how much warming there is. The temperature oceans thaw and turn on enough snowfall to correct and reverse the warming never changes. The continents have drifted and the ocean currents have changed and the balance between ice on land and ocean levels have changed to support different balance between the ice on land and the water in the oceans and that is why this has changed through out history. The modern ten thousand years is a record of the current state of this balance, The major ice ages were the last of the necessary cycles to get enough ice on land in the cold places to support this new normal. Some have written about the amazing stability of temperatures on earth in both very different hemispheres. I like to write about the amazing properties of water and the fact that both hemispheres have a lot of water. Different amounts of water and land and different configurations, but with water with the same properties. Oceans thaw and snowfall increases at the same temperature in both hemispheres. Oceans freeze and snowfall decreases at the same temperature in both hemispheres. There is enough ocean circulation to keep large cycles coordinated. There is not enough circulation to keep smaller cycles coordinated. You can see this in the ice core data. There isn’t any! $556.7 million is a staggering sum for ‘backing the wrong horse’. There are some incredible rich yet uninformed people about. They’re the ‘danger’, not a tiny increment of a trace gas. The only rational premise is that climate is unpredictable. Carbon capture in deep reserves has not progressed beyond trials. High efficiency/low emission coal technology is however the near term ultraclean future of power generation in India, China and Asia. Carbon is much better in soils and ecosystems than in the atmosphere. Rattan Lal says that as much as 500 GtC can be sequestered. The world has moved on but denizens are running in circles. You could of course tell me I am wrong – that the IPCC model ensembles are right – and that I am climate denier. Prove that climate warming is certain and I might be bothered arguing that it is no good. Otherwise I’ll stick to the idea that the future is highly uncertain and CO2 may initiate large and adverse temperature and hydrology shifts (NAS 2002). I’ve presented the evidence and argument in the comments I linked. If you can’t demonstrate the points I made are wrong you have no relevant valid contribution to make on this issue. I’m sure I don’t give a rat’s arse for your hypotheticals. Not relevant, Does not show the point I am making is wrong – i.e. that warming is good, cooling is bad. If you can’t prove that there is either prospective warming or cooling – then your hypothetical are pointless. Nonsense. Policy is based on the estimated impacts of warming or cooling, not on your hypotheticals about whether it will warm or cool. If it is going to cool, more CO2 is good. If it is going to warm, more CO2 is good. Therefore, not valid justification for mitigation policies. How much more simply can this point be stated so you can get the point?. So cooling has one policy and warming has another? What sort of ratbaggery is this? Rational policy proceeds in uncertainty. What I said was that you don’t know if or how much warming will occur. Whatever you said is therefore wrong on all counts and irrelevant to rational policy. Rational policy is – as Judith stated – based on ‘pragmatic climate’ quoted above.. I will disagree with you errors as I always do. What I said was that you don’t know if or how much warming will occur. I already refuted that point above. It’s irrelevant to the issue we are discussing. Uncertainty is irrelevant? I guess Judith has been wasting her time and is wrong on her stated policy preferences. On the other hand – I can’t imagine why I would believe you on anything. I didn’t say uncertainty is irrelevant. I said that GHG emissions are beneficial whether it warms or cools, therefore, there is no valid justification for mitigation policies. Try harder to comprehend what I actually said, instead of what you want to say I said . I quoted an illustrious group of scientists from an NAS publication talking potential for large, abrupt and adverse changes. Dramatic changes in global hydrology and as much as 16 degree C local temperature change in as a little as a decade. Whether the cause is intrinsic or anthropgenic the rational policy response is the same. The argument is not about the science, its about the impacts of global warming as I’ve said repeatedly. No. You misunderstand. That is not what I said. What I said is there is no rational justification for mitigation polices. GHG emissions are beneficial, not harmful, for both situations, cooling (it reduces damages) and warming (It increases benefits). You mean having fewer little old ladies dying of hypothermia because ‘green energy’ is too expensive for them in cold winters might actually be a Good Thing? The nice thing is that even with the excessive funding of the Alarmists, they have at best fought this fight to a draw. The truth will eventually win out, it always does. Unfortunately, a whole lot of money and effort will be wasted in the interim. The truth will eventually win out, it always does. Unfortunately, that is not true, whoever wins a war rewrites the books to reflect their truth won, but it is not always really truth. 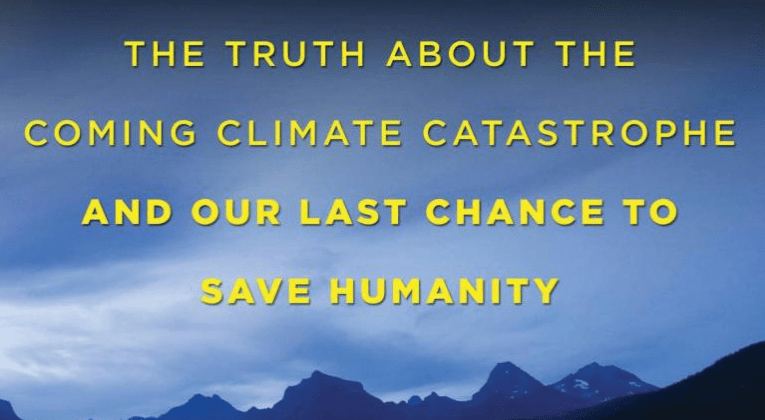 Natural climate change will win, but the official books may not reflect the true reasons. If they win, they will write that their fixes saved us. Just like in the ozone hole scam. They said man-made freon 12 was destroying the ozone. They took advantage of natural advance and retreat of the ozone hole and took credit for fixing a problem that did not exist. The truth is still not accepted by the mainstream consensus. R12 was costing almost nothing because their patents had expired. They had to get it banned worldwide and get a patented product on the market. They are still quietly getting new patented products introduced to replace older, continually banned, products off the market as patents run out. Check out how much the newest product costs for home air conditioning units. The war against fossil fuel helps them hide these other scams and not many people even notice. 3. The projected negative economic impact of global warming is much less than the estimated cost of the climate change industry. Furthermore, consistent with points 1 and 2, empirical evidence suggests the economic impact of global warming may be beneficial, not detrimental. In which case, the economic impact of policies to reduce global warming is the sum of the lost benefit of warming plus the cost of the climate change industry. These three comments expand on these. Earth’s surface temperature averaged about 7˚C warmer than now over the past 540 Ma. The fossil record shows life thrived through most of the warm periods – especially during the Mesozoic Era, when GMST averaged about 8˚C warmer than now, and the early Cainozoic Era. This suggests that around 7-8˚C warmer than now is the optimum temperature for life on Earth. •	“10% – 33% less terrestrial carbon storage at the LGM compared to today (300-1000 GtC less C in biosphere at GCM compared with preindustrial 3000 GtC)” https://www.ipcc.ch/publications_and_data/ar4/wg1/en/ch6s6-4-1-4.html . That is, the mass of carbon in the biosphere has increased by a factor of 3 to 10 since the last glacial maximum. Well, you sure like flogging dead horses. 1. Basic arithmetic. Please explain how and increase of 300-1000 constitutes a 3 to tenfold increase, when the final figure is 3000. Life thrived during rapid warmings (from below the Phanerozoic average temperature). One example is provided by Coxon and McCarron (2009), Cenozoic: Tertiary and Quaternary (until 11,700 years before 2000) http://eprints.maynoothuniversity.ie/1983/1/McCarron.pdfhttp:/eprints.maynoothuniversity.ie/1983/1/McCarron.pdf (see Figure 15.21 and text). Temperatures in Ireland, Iceland and Greenland rose from near glacial to near current temperatures in 7 years and 9 years 14,500 and 11,500 years ago, and life burst out from bare survival. 1. Your link gives “file not found”. 2. Every significant climate anomaly in the geological record is accompanied by an extinction event. These typically take millions of years to recover from. The global climate change industry is estimated at US$1.405 trillion in 2013 (about 1.9% of global GDP) https://ebionline.org/product/report-4000-the-climate-change-industry/ . It is increasing at 4-24% p.a., https://www.insurancejournal.com/news/national/2015/07/30/377086.htm , which is or at about 2-10 times the rate of global economic growth. This is a huge cost for no significant impact on the climate. If all the Paris commitments are implemented it is projected they will avoid just 0.05˚C GMST increase in 2030, and cost about 2% of global GDP. If all the Paris commitments are implemented and continue to 2100, they would avoid just 0.17˚C of projected GMST increase https://science.house.gov/sites/republicans.science.house.gov/files/documents/HHRG-114-SY-WState-BLomborg-20151201.pdf . However, this cost is only a small proportion of the total cost of the climate change industry. Given the current rate of growth (4% to 24% p.a.) we can expect the annual cost of the climate change industry, to avoid just 0.17˚C, would be much higher than 2% of global GDP in 2100. But what would the cost be to avoid 2˚C, instead of just 0.17˚C, of the projected 3˚C of warming from 2000 to 2100? However, empirical evidence suggests the energy projection may be wrong, and instead, may be about +0.1%. In this case, the total economic impact of all sectors may be positive up to about 4 C GMST increase (relative to 1900) Tol (2013) Figure 3 https://link.springer.com/article/10.1007/s10584-012-0613-3 . The cost of the climate change industry is huge. Worse still, we are spending that huge amount and losing the benefits of any warming we do manage to avoid. You’re correct that these points must be made tirelessly. Also, I would say to be armed with the following information about overestimates of warming-caused cost: https://www.manhattan-institute.org/sites/default/files/R-OC-0318.pdf. Global warming aside, increased CO2 is beneficial to green plants. I have not seen this benefit quantified. It might be too early. Also, have not established that man can actually alter the planet’s climate trajectory in any meaningful way. Concentrate on providing reasonably clean and reasonably priced energy. Everything will work out just fine. I mostly agree, but there is a possibility that the consequences of GHG warming will be a net negative for brief periods of time. Some extremes may become more extreme during some climate regimes, etc. There is also the possibility that mismatches of supply and demand of fossil fuels can result in regional disasters (ironically, the demand of NG to accommodate renewables and reduce emissions to reduce GW are likely to cause this). Because Malthusians have been wrong on specifics and scale doesn’t mean they will always be wrong. Malthusian events actually have happened. I am reminded of my receiving a postdoc in environmental affairs from the Rockefeller Foundation (1979/1980) to study air pollution policy affecting the US-MEXICO border. This was well before the AGW mindset. The quest was for empirical data and its unevenness across the border. Differences in cultural mindsets (influenced in part by differences in economic resources) were my focus. I don’t think the insights were incorporated since the normal formula for problem solving was about engineering, who would pay for solutions and diplomacy. Where might anthropological insights fit in beyond reducing anxiety – if that. That was a different time. Listening to different data sets and understanding them beyond one’s immediate ‘tribe’ was difficult then as it is now. Since the failure of cap and trade in 2010, climate activists have taken rhetoric to 11, and what it got them was Trump. So, Trump is essentially the fault of outspoken climate activists? But that is not consensus science. There is no consensus science inconsistent with lukewarmist views. They are legitimate and should be engaged respectfully. If Lukewarmist views are that it probably won’t warm very much, then there is indeed consensus science that is inconsistent with this view. On the other hand, people are – of course – entitled to hold these views. There is, however, no real requirement that they be engaged with respectfully. If people want to be engaged with respectfully, then I think the onus is on them to say things that are worth engaging with respectfully, rather than simply insisting (*should*) that others engage respectfully with their views. and Then There’s Physics: If Lukewarmist views are that it probably won’t warm very much, then there is indeed consensus science that is inconsistent with this view. I disagree. There is a great deal of consensus science that is consistent with the lukewarmer view. What is inconsistent with the lukewarmer view is the set of consensus exaggerations beyond what has been demonstrated by scientific research. Consider the research evidence that warming over the last 130 years of so has been benign or beneficial; warnings by, for example James Hansen, about the threats of future warming may be in the consensus exaggeration, but the consensus science is compatible with the lukewarmer view. Maybe you could define what you mean by the Lukewarmer view. My understanding is that it essentially argues that most changes (warming, precipitation, sea level rise, etc) will be on the low side of the range presented (for example) by the IPCC. This would suggest that these views could end up being correct, but that there is still a reasonable chance (often > 50%) that they’ll be wrong. One’s views not being inconsistent with consensus science is not the same as there being no consensus science that is inconsistent with these views. There is no consensus science inconsistent with lukewarmist views. aTTP:If Lukewarmist views are that it probably won’t warm very much, then there is indeed consensus science that is inconsistent with this view. aTTPOne’s views not being inconsistent with consensus science is not the same as there being no consensus science that is inconsistent with these views. OK, so what consensus science is inconsistent with lukewamer views? There isn’t consensus science that warming will produce more hurricanes, is there? The view that doubling CO2 concentration could produce temp increases higher than 4 C depends on prior distributions that had heavy high tails (e.g. uniform on the range 0 – 12C), which were individual opinions, not scientific reasoning from theory and data, and not consensus; the consensus of calculations is closer to Randall’s estimate of 2 C per warming, which is closer to the lukewarmer view. Is there replicated scientific evidence that warming since the 1880s has been harmful? Doubling the CO2 concentration will take a long time; is there some consensus science supporting the view that the temperature will increase faster than it has been increasing since the 1880s? Or that sea level rise will exceed 500mm in the next century? I am distinguishing between a consistent body of evidence and a chorus of scientists extrapolating beyond that body of evidence. Is there any consensus science supporting James Hansen’s expressed fears for his granddaughters? His writings in peer-reviewed publications are less threatening. Well the point being made is that lack of respect, particularly by scientists, leads to polarization and in this case benefits those opposing action. A free society will always have view points you don’t like. Disrespecting them will not change anyone’s mind. The last decade of extreme rhetoric and political warfare has shown that as has the failure of the campaign to remove Trump by any means. What I think should be most uncomfortable to activist scientists in this post is the clear and convincing analysis of why their implicit alignment with extremists has not worked and indeed backfired. We are redefining democracy. My candidate lost? I’ll resist the winner by any means available. Why stop there? Peer review has been redefined with a great success. When that does not work and an offensive work somehow gets published, you can always fire the heretic for “breaking the code of conduct”, whatever it means. One can disagree without being disagreeable. I regret that you believe that only your point of view is worthy of respect. And, yes, the bullying and arrogance of the Washington establishment, including the climate establishment, is how we got Trump. I don’t think that only my point of view is worthy of respect. I was simply pointing out that it might be better to aim to say things that are worthy of respect, than to appear to insist that others respect certain viewpoints. I am thankful that good can come from evil! Gee ATTP, after a dozen explanations of the lukewarmer view for you by people ranging from Lucia Liljegren to Steve Mosher and occasionally myself, you are still asking the exact same questions about it. I struggle to understand. The lukewarmer position is that atmospheric sensitivity to a doubling of concentrations of CO2 in the atmosphere is quite likely under 3C. That’s what I thought it was. The consensus position is probably closer to it being as likely below 3C as above 3C. Therefore, there is consensus science that is not consistent with the Lukewarmer view. Actually the IPCC AR5 did NOT mention 3C at all (although the AR4 and earlier ones did). They gave a likely range 1.5 to 4.5 C, with no best value. Good thing I didn’t say that then. Not if you quantify “very much” meaningfully. Hansen et al 1988 predicted “very much” warming. They predicted +0.5°C/decade from 1.5%/yr GHG emission increase. Over the next quarter century we got only about 1/4 of that predicted warming (at most 1/3, depending on whose numbers you use), despite an even larger 1.97%/yr CO2 emissions increase. If you compare the scale-of-miles to the zone sizes you can see that a 1°F change in temperature is equivalent to a shift in latitude of about 30-40 miles — barely noticeable. The frequently-heard claims that a degree or two of warming will devastate agriculture do not pass the laugh test. The only really strong trend related to rising CO2 levels is agricultural productivity. It has nearly tripled since the 1960s, in part because of CO2 fertilization. The best scientific evidence indicates that manmade climate change is modest and benign, and higher CO2 levels are very beneficial for both agriculture and natural ecosystems. In other words, the “social cost of carbon” is negative. Yes, this is why Pruitt, who is doing a spectacularly great job, has a job approval rating of 29% and Americans appear united in wanting their former EPA back. JCH, don’t hold your breath on that one, as long as Trump continues to support him vigorously as he has he will need only one vote in the popularity contest. and Then There’s Physics: So, Trump is essentially the fault of outspoken climate activists? The difference between the Obama/Clinton tax and regulatory plans and the Trump tax and regulatory plans contributed largely to flipping 4 states to Trump and thus yielding his Electoral College victory. “If Lukewarmist views are that it probably won’t warm very much, then there is indeed consensus science that is inconsistent with this view.” That seems wrong to me. 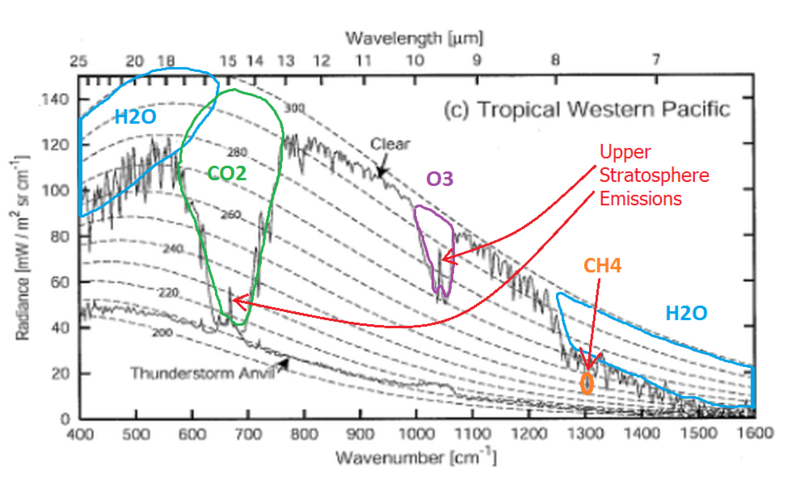 The IPCC estimate for ECS is, likely somewhere between 1.5 and 4.5. That doesn’t mean that every individual scientist believes exactly that. Some favor the studies that yield the low estimates. Others favor the studies that yield the high estimates. This is especially true here, where the different sets of estimate basically derive from quite different approaches, and individual scientists can prefer one approach or another. All the IPCC “consensus” means here is that some scientists think this, some thing that, so we at least mostly agree that it’s probably in there somewhere. A better name for this is “an open question”. So if we don’t spend our time figuring out if your above is correct, the best you can get at this this is the Lukewarmers. Engaging the right hasn’t and isn’t likely to work. The Lukewarmers to an extent are the champions of the Right. I think engaging them, even as equals on matters of policy would be useful. I would say that is only true if innovation in the private sector and among entrepreneurs is considered as non-“action”. Large amounts of money are being spent and will be spent in crop and animal breeding, so that adaptability of agriculture keeps pace with changing climate. Some, like the “Green Revolution” is govvernment-sponsored, but most is private. It has served mankind in good stead in the 20th century, and will in the 21st. Also not all “action” need be “broad” or semi-global. Independently of the rest of Coastal California, San Diego County has increased its water supply by: building a large scale desalination plant; expanding the capacity of one of its large reservoirs; installing drip irrigation in the Imperial Valley and buying the water thus freed up. Whereas the state-wide “actions” to require more electricity from sun and wind, and to build the bullet train, are arguably counterproductive. Large scale government “action”, actual or promised, can suppress the creative “actions” of all the other actors; this is a very common “classic liberal” or “modern conservative” line of reasoning. A current case has been made that US entrepreneurship has done more to reduce US CO2 production than EU or Japanese government “action”. That’s a good point Matt. Fracking has had a positive effect on carbon emissions. It is well known that more CO2 helps with the growth of plants and the efficient use of water. Harm from more CO2 is only a guess based on theory and climate models. Anything that reduces CO2 emissions is not a positive effect. Whereas the state-wide “actions” to require more electricity from sun and wind, and to build the bullet train, are arguably counterproductive. Yup, lessons leaned in south Australia will make sure we do better globally as renewables are scaled. Same in Cali, they’ll teach s what works. My comment is way out of context, energy policy is where it belongs. There is no consensus science inconsistent with lukewarmist views. They are legitimate and should be engaged respectfully. It is clear that the extremist warmers and the luke-warmers are mostly on the same page, the difference is how far down. Some sane voices out there are saying that natural climate cycles are dominating climate change but the alarmists and the lukewarmers do all ignore that all climate parameters are inside the bounds of the cycles that have occurred over the past ten thousand years. All sides should study past data and try to understand how and why earth climate has been and still is self correcting. I have tried for multiple years and cannot get any recognized “expert” in either camp to discuss and debate. I get agreement with some, very qualified, who do not speak out because their jobs would be on the line or it could have negative impact on their company or organization. Many of these qualified and capable people would support proper study of natural climate change causes if the subject was not so toxic. Even Dr Curry does not acknowledge there are more than two sides. In this respect, lukewarmers are as bad as the extremists, even worse, they claim to be different. We do not need to mitigate something that is not broke and none of the warming from CO2 has been proved with actual data. There are wonderful proxies, especially ice cores, which are really representative of ocean average temperatures from both hemispheres. It don’t get better than that for understanding climate. Look beyond the two sides, there is something beyond alarmist and almost alarmist. Exactly. The Earth is a strongly buffered system – that’s why even the largest largest fluctuations in the past few million years remain within a relatively narrow range. Water vapor buffers the atmosphere, and carbonate rocks buffer the oceans. Ask yourself: why didn’t the meteor that killed the dinosaurs destroy all life on Earth? What about all the other major events? It snows more when oceans are warm and thawed. It snows less when oceans are cold and frozen. This keeps the ice volumes and extents inside bounds. The bounds were wider apart during the major warm and cold cycles. The bounds are much tighter during these modern warm and cold cycles. Ice is a major factor that helps bound temperatures and sea level. Ice is treated as a result of warm and cold, but the snowfall changes occur first and temperature changes occur later. “There is, however, no real requirement that they be engaged with respectfully” from the comment by “and Then There’s Physics” That really sums the point Ted Nordhaus is making succinctly. Why? I wasn’t arguing that they shouldn’t be respected, I’m suggesting that there’s no requirement that they *should* be. This is obvious, isn’t it? We all have the right to hold different views, others should respect our right to hold these views, but we don’t have the right to expect others to respect these views. Maybe we should start a list of Kenny’s Clever Comments. Actually Kenny, in a polite society one is bound to be respectful of others. Or do you think being respectful means you have to agree with someone? This pretty succinctly cuts through the BS of the climate debate. I agree with most of the summation. I’d rephrase that part of it to read something like: Catastrophism on the Left begot know-nothingism on the Left and Right en masse. The impetus behind catastrophism was an effort to recruit public sympathy to effect political change, thus the swirl of ignorance. In other words it was through the constant assault by the media, (the point of the spear in advocacy and politicization utilizing the propaganda of “catastrophism“), that people ignorant to climate science on both sides of the political spectrum were brought into the debate. The resultant effect was the circling of respective wagons, amplifying hyperbole, all emanating from the voices of mostly know-nothingism, those who instinctively understood the political game in play regardless of their lack of knowledge of the science. “Ultimately, according to Pielke, there is an argument to be made on both sides of the spectrum that acting on climate change will be beneficial in the long term. Market forces can be powerful, as witnessed with the rapid adoption of shale gas once it was established as a cheaper, cleaner fuel source. Herein is the problem: there is no climate “problem” to solve. Climate “change” can hardly be changed by humanity. CO2 does not “drive” the climate, but it does enhance the biosphere. Unfortunately, we’ve been exposed to years and years of “the science is settled, we won, we’re indoctrinating the kids to our view, 106% of all scientists in the world agree, shut up and do as I say, not as I do”. This has continued right up to today, see Al Gore, Leonardo DiCaprio, and James Hansen as the ur-examples. It has left a very bad taste in many people’s mouths … one which will not go away just because a few reasonable scientists see the need for a saner and more scientific approach to the problem. Fortunately, that tide seems to be receding as year after year after year go by without climate refugees or drowned atolls or any of the catastrophes predicted by the failed serial doomcasters. Eventually, folks will realize that they’ve been played for fools. Happily, this may lead to real climate science. Sadly, this will be (and has been) very destructive to science in general. The descent of climate change into the abyss of social-justice identity politics represents the last gasp of a cause that has lost its vitality. Climate alarm is like a car alarm– a blaring noise people are tuning out. Pielke says some sensible things in the original article. I think there is a pressing rationale to understand natural climate causes faster than anyone else does. Only the US has laggards in that regard. No, the EU and Australia, Canada, most in the western world are leading us in not understanding natural climate. We art not the laggards, laggards would not have elected Trump to fix a bunch of the problems. We are getting on track, UK got out of EU, that is a major step in the right direction for them. Even if you want to be a laggard, there is a need to replace fossil fuels before they run out and become even more of a liability, and the US needs to lead that or they are going to lag in energy technology too. There are two forces against fossil fuels, climate change and its own depletion. There are two forces against fossil fuels, climate change and its own depletion. The climate change gets further in the future, faster than we have approached it. The depletion gets further in the future, faster than we have approached it. It really looks like the “FORCE IS WITH US”! The things that get further in the future are the slowdowns in emissions and warming. The skeptics expect the latter to stop without the former, but there is this pesky connection between them. The warming did slowdown and the emissions don’t need to slow down, there is this pesky dis-connection between them. Alex @ 3.23, quite right, it’s impossible to get consideration of sane emissions and energy policies in Australia because all those in power have drunk the Kool-aid. We have driven out, or deterred new investment in, much energy-intensive industry, including through blackouts leading to smelter emergency shut-downs and consequent costly damage. The government pursues insane policies, the opposition says we need to do twice as much. We now have a shortage of dispatchable power and no one will invest in new sources because the next government might close them down; but we continue to invest in renewables because (a) they are heavily subsidised and (b) their low marginal cost (which ignores network costs related to them) allows them to undercut other suppliers in the market when the sun is shining and the wind is in the right speed range. Australia is ranked about 130th in the world in renewables and are well below the global average percentage at only about 15%. What’s going on there that they can’t cope with? Is that because dung and wood aren’t used for cooking? Australia has a little more ‘renewables’ than the US. About half of Australia’s is hydro – from a couple of sources. You will find that countries more ‘renewables’ have more hydro resources. Australia’s 2020 revewables target has been met and will not be expanded. The 20% renewables target is of course nameplate capacity only and supply to the market is a fraction of that. Renewables play little to no part in Australia’s Paris commitments. That are – given population growth – a 50% decline per capita for a relatively low cost – largely from land management. But the inefficiency, intermittency and high cost of renewables is exactly the wrong argument. Rejecting all strategies because one has failed is a logical fallacy. Energy sources must survive unaided in the market without the subsidies or privileged status renewables in Australia have. They cannot credibly claim to be low cost until that happens. They survive in the market or not. In contrast public/private partnerships are appropriate for first of a kind modular nuclear plants – for instance. But Jimmy should not delude himself that wind and solar are high on any rational list of priorities. I think my question was, why is Australia having so much trouble when they are only at 15%? This is a level that should not be challenging for the power grid especially as so much of it is hydro. South Australia is almost all wind and solar – it’s that kind of a state. A severe storm toppled a couple of transmission towers causing power fluctuations that tripped out wind farms. The tripped out wind farms resulted in a surge of demand at the interconnecter to the eastern grid. Old and very dirty brown coal grid power from the La Trobe valley is what enables SA to be so virtuous when the sun don’t shine and the wind don’t blow. That’s most of the time. The sensitivity of wind farms to voltage fluctuations has been addressed with a software fix. How successfully is yet to be seen. As I say – I don’t care much what technology is used as long as it works and survives on merit without subsidies or government mandated market privileges. Hydro btw is about 7% nameplate capacity – and a 12% capacity factor at the Snowy region hydro scheme. It is Australia for God’s sake. D, throwing out a quote within a vacuum of context. How about acknowledging the exponential advancement of technology since the beginning 20th century, much of which didn’t require government assistance? When considering humans went from non flight to putting a man on the moon within 67 years one should probably consider that the only reason, after 1st flight in 1903, that the moon shot required government assistance was because commercial feasibility was not cost effective for such an expensive undertaking within a short period; at the time it was also beyond immediate cultural needs, or enterprise ability to exploit such technology cost effectively. The same rationale isn’t true of CO2 reduction technology, or alternative energy technology. Exxon itself is trying to develop such. It’s no sweat off a corporations back to utilize lower CO2 emitting technology in designing a manufacturing facility, it represents good stewardship. They’ve been practicing this in application, it comes from acknowledging there may be risk from higher CO2 levels. Especially if development of technology reducing CO2 can be done cost effectively, why wouldn’t a corporation error on the side of good stewardship? Therefore; witness the decline in CO2 output since the early part of this century, there was no thumb of government forcing that. All it took was self awareness and modeling development plans with a sensitivity towards CO2. If one wants to use “denier” in science, it’s most applicable to the warmist side of the equation. Those who are inept as witnesses to massive technological advancements in science and engineering since the industrial revolution; those of whom are incapable of applying any extrapolation value relative to modeling the likely possibilities going forward of technology advancement that would nullify current Leftist arguments, many of which are designed to roll humanity back to grass huts; per the green movement. Ironic in all this is warmists seeming ability to model forward climate catastrophe using faulty modeling techniques. They can make a leap of faith on the latter while snubbing the nose at proven cycles of advancement for technology mostly driven by the private sector. Deniers. This is in the context of voices of reason, and those quotes from Pielke were reasonable in my view. Buried in what he says and what you say about stewardship is the realization that we do want to protect ourselves from rapidly increasing CO2 and to stabilize the climate. This is common ground for many, but some are vehemently opposed to conceding even that much. The other realization is that energy and fuel technology is changing rapidly already, and we need to keep up rather than hold back and lose all the major next-generation industries to other countries. A pro-active policy would support these industries and promote the use of renewables. It is noticeable that Judith did not quote the parts about stabilizing the climate or having the US keep up with clean energy technology. I suspect these remain points of contention even between people like Pielke, Jr., and Curry. There is a spectrum even in this seeming middle ground. D, the evolution of technologies is and has been happening organically since before the industrial revolution, the advancement exponential since. The solutions to what “might” have been a problem if technology stood still will come about regardless of warmists heavy handed catastrophic projections; though possible if we were forced to live in grass huts per greenie ambitions. The hunt for cheaper, more efficient energy solutions evolved towards more efficiency well before any AGW economic threats simply because it makes economic sense! We don’t drive steam cars any longer! Being a good steward doesn’t concede to the merits of catastrophism or frankly even AGW in general. But if a corporation can design a plant considerate of developing a smaller CO2 footprint with little to any additional cost, they’ll do it as a pragmatic business proposition, as well as being a good steward. Capitalism is risk adverse; letting the government enable draconian economic measures in response to catastrophism is risk to be avoided. Good stewardship also means good PR and diminishing litigation risks! You see, good stewardship means many things, I didn’t express anything about stabilizing the climate. The “US keeping up with clean energy technology” is a ridiculous Left wing talking point. The US will be there, and it won’t be with solar panels or silly windmills when the revolution comes. Interesting take, mop-up. Stewardship is usually taken to be the environment, but anyway you are more comfortable with stated policies of industries and local governments if they don’t talk about CO2 explicitly. I understand where you’re coming from. Similarly you can’t freely talk about climate stabilization as Pielke, Jr., does. As I said, there is a spectrum. You can accept decarbonization outside this context of its necessity for the good of the environment, and maybe that is the way to have common ground with certain people. Just don’t mention the side effect of benefiting the climate or that Paris is playing any role and they’re fine with it as just technology advancement reducing the reliance on depleting and polluting fossil fuels. That’s fine too as long as we can get the replacement largely done by 2100. No dawdling. popesclimatetheory, you’re right about some industries, natural gas generated electricity is about 2x more expensive than coal. But the paper industry, for example; in the late 20th century ramped up production of post consumer waste papers. These require less energy to produce, and a smaller carbon footprint, it was a win/win for the mills/consumer/and consumers alike. Many new buildings being erected are being done with energy conservation in mind, etc. meant to say, mills, environment, and consumer alike. No. As a chemist, when I develop a catalyst that has better selectivity for my desired product than for waste (CO2), the CO2 footprint is smaller AND my costs for feedstock go down. This is why chem/energy companies have large R&D groups. I heard recently that China has stopped paying subsidies for Solar Panels. The “Voices of reason in the ‘climate wars’” would not be just acknowledging the Alarmist and Lukewarmer sides, the other sides must be acknowledged. Natural climate change must be acknowledged, studied and understood or none of the other alarmist or lukewarmer stuff has any meaning. “The old climate framework failed because it would have imposed substantial costs associated with climate mitigation policies on developed nations today in exchange for climate benefits far off in the future — benefits whose attributes, magnitude, timing, and distribution are not knowable with certainty. Since they risked slowing economic growth in many emerging economies, efforts to extend the Kyoto-style UNFCCC framework to developing nations predictably deadlocked as well. Most people are wrong about climate science – here’s my latest – climate dynamics are far from exclusively about radiative forcing from energy emissions. Including me I often remind myself – it is after all a massive, dynamically complex system. The key risk there is large and unwelcome regional or global climate shifts (NAS Committee on abrupt climate change, 2002). But most – including most climate scientists – lack the intellectual architecture to appreciate that idea. Or – alternatively – are on track with tunnel vision. The world is in crisis and we are at a critical juncture. Human overpopulation, poverty, hunger, war, civil strife, soil and ecosystem degradation and massive reduction of biological populations since the 1970’s. On the one hand there is a belief that wind turbines and solar panels will solve imminent planetary disasters – on the other that carbon dioxide in the atmosphere is good. The obvious realities are that energy emissions are far from the whole story and that carbon is much better when restored to soils and ecosystems than in the atmosphere. So while cheap and abundant low carbon energy is the smaller part of the equation – the bigger part requires innovative social, agricultural and environmental policy. The global economy is worth about $100 trillion a year. To put aid and philanthropy into perspective – the total is 0.025% of the global economy. If spent on Copenhagen Consensus smart development goals such expenditure can generate a benefit to cost ratio of more than 15 – with substantial climate adaptation and mitigation potential. If spent on the UN Sustainable Development Goals you may as well piss it up against a wall. Either way – it is nowhere near the major path to universal prosperity. Some 3.5 billion people make less than $2 a day. Changing that can only be done by doubling and tripling global production – and doing it as quickly as possible. Optimal economic growth is essential and that requires an understanding and implementation of explicit principles for effective economic governance of free markets. The biggest risk there – as always – is market mismanagement. In robust democracies we may argue for laws and tax regimes as we see fit – but not everything is up for grabs if we are holding out for economic stability and growth. Economic stability is best served with government at about 25% of GDP, price stability through management of interest rates and money supply, balanced government budgets, effective prudential oversight, effective and uncorrupted enforcement of fair law and a commitment to free and open trade. Increasing agricultural productivity and opening access to markets build local economies and global wealth. Economic growth provides resources for solving problems – conserving and restoring ecosystems, better sanitation and safer water, better health and education, updating the diesel fleet and other productive assets to emit less black carbon, developing better and cheaper ways of producing electricity, replacing cooking with wood and dung with better ways of preparing food thus avoiding respiratory disease and again reducing black carbon emissions. The warming from black carbon – by the way – is equal to that of carbon dioxide emissions from electricity production and it is for the most part a problem of lack of development. 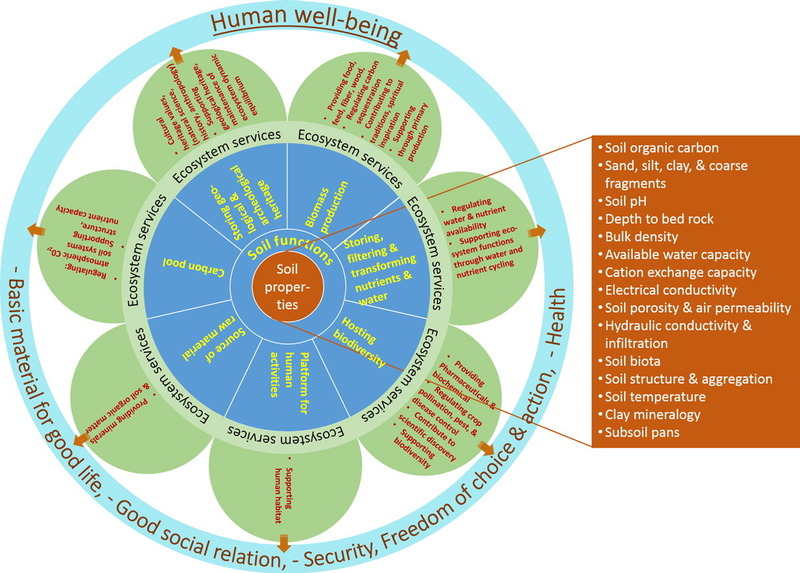 A global program of agricultural soils – and ecosystem – restoration is the foundation for economic development and for balancing the human ecology. Increased agricultural productivity and better use of water enables the building of a brighter future – regardless of what climate shocks await us. The clash of climate warriors doesn’t matter much in all this. The real world has moved on. The Greens have launched a massive and coordinated attack on EPA’s proposed regulation to end the use of “secret science” in Agency rule making. Secret science here simply means research that is not available for public inspection. The proposal is called the Transparency Rule and it is available for public comment. The basic principle is that if EPA proposes to regulate the public, then the public has a right to inspect the research used to justify that regulation. This seems obviously fair and just but the Greens do not see it that way. They think EPA should be able to do whatever it wants, behind a veil of scientific secrecy. So the Greens are flooding the EPA comment system with mindless negative comments. At the time of this writing the Agency lists over 150,000 comments, the vast majority of which simply attack EPA for daring to propose transparency. Given that the comment period has been extended to mid-August this number is likely to get much bigger. One particularly silly NYT piece is titled: “Scott Pruitt’s Attack on Science Would Paralyze the E.P.A.” It begins by complaining that the Rule allows the EPA Administrator to exempt and use secret science if it is especially important. The Greens should like this provision, since it is just what they want. Instead the op-ed says that Pruitt is a lawyer, not a scientist, so he is not qualified to make such a decision. In reality this is standard exemption language, so the decision would be made by the regulatory office, including their scientists. They then go on to say that the peer review of the journal article reporting the research should somehow be enough transparency. This is simply ridiculous, since peer review of an article does not include data analysis, attempted replication, etc., which the Transparency Rule is designed make available. Peer review is not quality control. There is quite a bit more as well. The climate alarmists fear they have lost. Becoming rational would be a wise next tactic, a way of trying to have a voice, any voice, at the table. It is ok with me if the climate alarmists do not have a voice, any voice, at the table, we know what they want and it only damages us. Extremism does not die an easy death. Hitler took his own life isolated in a bunker after killing 6 million jews and loosing WW II. Stalin slaughtered more than 40 million in Russia in his reign of terror. Mao had to die before meaningful changes occurred in China just to get the population fed. Pol Pot killed more than 2 million people in Cambodia with a population then of 10 million, dying in a hideout somewhere in the jungle. What with the current hanger-on-ers tied to the environmental movement, there are too many oxen out there who would need to be gored before the polyglot of the remainder would consider altering its intransigent stance. Ain’t gonna happen anytime soon. The best approach would be to move forward, in this case, focus on energy: clean, cheap energy. Bypass the clamorous chorus. Redirect and focus private and public funds to developing safe, modular nuclear energy. Begin the public dialogue that modular nuclear energy addresses both CO2 emissions as well as provides electricity in regions of greatest needs throughout the world. The nuclear NIMBY issue in the developed world is a whole different ball game. Not politically ripe at this time. Throw in the CO2 emissions as well. Nuclear energy is good, has nothing to do with CO2. Lots of political rhetoric, not much common sense and a paucity of paragons of reason. While in Paris global leaders committed to increase carbon emissions by 3GtC/year by 2030. There are of course other sectors but the climate warrior obsession is clearly with electricity generation. There are as well other gases – and black carbon and sulfate should be added to the mix. Emissions are being addressed pragmatically across a plurality of gases and sectors with a plethora of technologies and systems – underpinned by economic growth and development. Carbon dioxide from fossil fuels are a blip. The practical point to ponder is how double and triple global energy demand in the next couple of decades will be cost competitively met. But they did do something right in Paris. However you look at it – carbon is better in soils and ecosystems than in the atmosphere – including for agricultural productivity, water holding capacity and flood and drought mitigation. Socking away the carbon content of 360 GtCO2 with net agricultural productivity, food security and environmental benefits is possible. All you have to do is ‘become a blessing’. There are no “climate wars”. AGW is established science. Articles like this exist only to promote an agenda of uncertainty. But CAGW isn’t established science, and that’s what the war is over. Implying skeptics are denying AGW is a strawman tactic. The urban doofus hipster vision involves narratives of moribund western economies governed by corrupt corporations collapsing under the weight of internal contradictions – leading to less growth, less material consumption, less CO2 emissions, less habitat destruction and a last late chance to stay within the safe limits of global ecosystems. And this is just in the ‘scholarly’ journals. “But CAGW isn’t established science”. I didn’t mention CAGW, as far as I can tell the article does not mention CAGW. What is CAGW anyway – got a good citation to what it is in the peer-reviewed scientific literature? AGW is the non-threatening temperature rise directly attributable to a rise in CO2. CAGW is a dangerous rise in temperature caused indirectly (supposedly), by positive feedbacks from the CO2 rise. Skeptics dispute that positive feedback—that is the “climate war.” Hence, your saying that, because AGW is established, there are no wars, is incorrect. I should add that a second key matter skeptics dispute is the figure for the climate sensitivity of CO2, as in the Otto paper, of which Nic Lewis was a co-author. I suspect you are making up definitions. And you did not answer my question anyway. In a nutshell, Evans contends that all responsible climate change skeptics accept the existence of some global warming caused by CO2 (IOW, AGW), but do not accept its amplification by purported positive feedbacks from water vapor, as warmists do. If there is no amplification, there is no crisis (IOW, no looming “catastrophe” and no cagw). Positive feedbacks are the core of the dispute, and the evidence for them is slight. “CAGW stands for Catastrophic Anthropogenic Global Warming”—as you well knew already. Roger. You still have not answered my question and given me a citation for your “CAGW”. Getting bored now, I hate it when people dodge questions. Who is “David Evans”, and why would you believe him? Is he a published climate scientist? Can you give me a citation to his best study in the peer-reviewed scientific literature? HT: “Roger. You still have not answered my question and given me a citation for your “CAGW” Getting bored now, I hate it when people dodge questions.”. OK, I’ll try to give you an understanding. You, like many (all?) warmists, bridle at the term “catastrophic” as applied to the warming supposedly in store for us, and demand (implicitly in your case here) to know where warmists have used the word. It is understandable that that word would be avoided in warmist predictions, because it would lay them open to being called “catastrophists,” which has connotations of kookiness and wrong-headedness. But that is what they are—catastrophists. The alternative to the CO2 mitigation they advocate (and following a business-as-usual path) is still a catastrophe, just by some other name. Other words could be substituted that alarmists have used, such as “dire,” “horrific,” “terrifying,” etc., yield abbreviations like DAGW, HAGW, & TAGW. They are distinctions without a difference in denotation. He is not a climate scientist and has not published papers on the topic, as far as I can tell, except for one far-out effort about three years ago that was derided by both sides. But he has relevant expertise (which is true of most climate scientists, who mostly were also recruits from related fields). And he’s done consulting work for a governmental climate change office, so again he’s not a rank outsider just making noise. But expertise as a published climatologist isn’t needed for one to believe the position he’s taken. ii cited him because he’s expressed it so well and backed it up so admirably. It’s obvious to anyone who’s followed the debate—including warmist climatologists, who avoid mentioning this inconvenient truth—that the “catastrophe-looms” case depends on positive feedbacks to provide the catastrophe, from their amplification of CO2’s increase. Evans provides all the “impeccably sourced” cites one needs. There can be, IOW, AGW without CAGW, and thus a war over CAGW but not over AGW, which was my original point. I will cut to the chase – the term CAGW is a straw man. HarryTwinotter: I will cut to the chase – the term CAGW is a straw man. Not until people (candidates for elective office, AAAS presidents, government and university scientists, etc) stop demanding urgent action costing trillions of dollars to forestall disasters caused by CO2 accumulation. Tales of catastrophe are at the core of pissant progressive ambitions to transform economies and societies. Nothing could be more ludicrous. And Harry assures us it is not science. Yes we know. Mind you 10’s of meters of sea level rise canvassed by Michael Mann at this ‘conversation’ sounds serious. The science itself is dispassionate. They have 4 C warming in their calculations, and 3 meter sea-level rises, and they don’t have to say “catastrophic”; that is for activists, journalists and policymakers to attach to those types of changes when applied to communities of people or ecosystems. If there’s no life, there’s no catastrophe. This is why WG1, on the basic science, does not refer to catastrophe. WG2 talks about impacts, and that is a more likely place to look for the word. Just because the passionate alarmists in WG1 were communicating in a format where rhetoric is frowned on, and where it would be tactically wise to pose as dispassionate and objective, doesn’t mean that their science is actually dispassionate, just that it poses as such. One-third of that is non-controversial, or not strenuously objected to, among lukewarmers, who are the vast majority of skeptics who are also esteemed scientists (see the Wikipedia page on skeptical climate scientists). It is from the direct effect of CO2. There is no “war” over it; it is AGW. But warmists, including many prominent allegedly objective WG1 IPCC members, like to conflate, sometimes in artfully deceitful ways, this well-established and easily understood and accepted effect with the other two-thirds of their 4 C of warming calculations, which depend on much “IFFier” data and logic about positive feedbacks and climate sensitivity. This is where there is a war. OTOH, the three warmists in the six-member APS discussion panel headed by Koonin conceded, from what I’ve read about their comments, that there is room for differences of opinion (aka a “war”) on these topics. This was my original point. AGW doesn’t necessarily imply CAGW, and thus CAGW isn’t settled science. Pretty much. One person’s catastrophe is another person’s inconvenience. Roger, bingo, yes, even the skeptics can see that what the scientists are predicting amounts to catastrophe. But then they confuse what they think about the situation with what the basic science actually says, which is just temperatures and sea levels. I think this is a source of the confusion about CAGW being the basic science when it is their own feelings about the results. This is why when people refer to CAGW with me, I ask them to define what they view as catastrophic because it is not a scientific term. Usually they go away or change the subject at that point or maybe they think it is a trick question. We have always known it is not science but about transforming economies and societies. And the answer is f#@k off. JimD: I think this is a source of the confusion about CAGW being the basic science when it is their own feelings about the results. This is why when people refer to CAGW with me, I ask them to define what they view as catastrophic because it is not a scientific term. Usually they go away or change the subject at that point or maybe they think it is a trick question. That follows numerous examples of climate catastrophism. Climate catastrophism is always worth disputing because (a) it is a large body of writing and speech that is renewed and promulgated weekly, it not daily (not a “straw man”); and (b) it goes beyond what is well-established by the scientific research. I doubt you could find a critic of CAGW who has been confused into thinking that CAGW is the basic science. MM, there is a lot of conflation of AGW, the basic science, with CAGW, the straw man for attacking instead. These have to be separated for a proper debate. If you are going to use the term CAGW, you need to define what catastrophic means to you because it is an individual evaluation. OK, you’ve got a point, but only if you have in mind that minority of far-out skeptics, mostly in blogs, who say that rising sea levels are not catastrophic, because man has always adapted to them and so man can just pick up and move, and/or that the costs of moving will be offset by an increase in farmland in Canada and Russia. Ditto for rising temperatures—some bloggers wave that aside, saying that nature is adaptable, and that man has air conditioning or can move north. I disagree. How about “severe droughts,” “disastrous wildfires,” “severe tornados,” etc.? Those phrases (and/or ones like them that I can’t bring to mind at the moment) are used in scientific papers, including in titles and even as official terms. They are associated with numerical values, even if those values are not spelled out. They’re just shorthand, not merely emotive; they aren’t unscientific because they’re adjectives—as long as they’re accurate adjectives tied to numerical values. Similarly, when climate change skeptics say they disbelieve only the promoters of CAGW, that is a shorthand way of saying they disbelieve, for scientific reasons, in either the unsettled, un-basic claims of a substantial climate sensitivity factor, or in a big positive feedback from water vapor, or both. Thus, it is not accurate to claim ttt climate change skeptics who criticize CAGW are emotively attacking a strawman. Jim D: MM, there is a lot of conflation of AGW, the basic science, with CAGW, the straw man for attacking instead. Who does the conflating? Can you give us 5 – 10 exact quotes countering the quotes provided by TurbulentEddie that show mainstream scientists promoting CAGW? What I am saying is the debate should be separated into two parts. Will it be 4 C or 3 meters, for example, scientific questions, and how disastrous is that, societal questions. Some skeptics don’t believe 4 C is possible, but if we get to 700 ppm and with the central estimate of 3 C per doubling, that looks to be a typical value to plan for. What we need is skeptics to say that 600-700 ppm and still rising at 2100 is safe and we should just go ahead without mitigation, but we don’t hear that, even though they oppose any mitigation and that’s what it leads to. Maybe they haven’t thought it through in terms of consequent CO2 levels. At 600-700 ppm earth is on its way to being an iceless hothouse with high sea levels when you compare it to past similar levels in the Eocene. If the skeptics can come up with their preferred CO2 status in 2100 (level and rate of emissions), that would be a starting point because then the consequences of that versus mitigation scenarios can be debated. The largest uncertainty in the future temperature is from not knowing our emission rates, not so much from any uncertainty in sensitivity. The greatest certainty is that productive systems will transition relatively quickly for reasons of economic growth, environmental conservation and production efficiency. The greatest uncertainty is dynamical complexity in both models and climate. MM, what Turbulent Eddy listed were journalists and activists. Only a few climate scientists are also activists. I am not saying no one cares about climate disasters. People clearly do and they write about it or do documentaries, so those are the ones you notice, not the climate scientists whose work appears in journal papers and is rather dispassionate. RIE, if you are so certain you would have given numbers already. How much total emissions will we have by 2100 and what will be the CO2 level and emission rate in 2100? The uncertainty range is thousands of GtCO2 leading to hundreds of ppm and many degrees. Negative emissions by 2050 – but emission reductions as such are not a high priority. And if you believe the IPCC I’d suspect you of having rocks in your head. Oh wait… And the CAGW social movement – of which you are a card carrying member – is the policy disaster. PS: I should have mentioned that “catastrophic failure” is a scientific term—at any rate, it’s one commonly used by them and engineers. RIE, then you have no reason to be concerned with any of this. You haven’t voiced this earlier. Is it something you just came up with off the top of your head now, or is there some even thought about how that happens in practice? Wind, solar, hydro, batteries, sequestration? I would say words like catastrophic would be more engineering than science, and disastrous or severe are more societal or perhaps related to survival. However we could say certain GHG levels are catastrophic for Greenland’s ice sheet, I suppose, implying a sudden failure mode. Catastrophe theory has applications in many fields – including climate. But this is not the social and economic catastrophe of global warming acolytes Jimmy resolutely does not want to discuss. But the question is why does Jimmy resolutely ignore the big questions I have studied for decades? And then pretends that this is a surprise? In climate science, that would be tipping points which have occurred in the past 10,000 to 20,000 years, but are not explicitly part of any IPCC scenario. There are papers on tipping points being possible, e.g. Hansen’s on accelerating melting in Greenland and Antarctica, that he speculates may already have started. There are two tipping points, that is all that is needed. When oceans get warm, the oceans thaw, the snowfall increases, this tips the climate to colder. When oceans get cold, the oceans freeze, the snowfall decreases, this tips the climate to warmer. Then it repeats, thus the cycles. Jim D: If you are going to use the term CAGW, you need to define what catastrophic means to you because it is an individual evaluation. Thus, “CAGW” is well defined. It has a fjine ostensive definition, as adequate as the definitions of “cups”, “saucers”, “rocks”, “boulders”, “dust devils”, “tornadoes”, and “shoelaces”. Not everyone promoting the urgency of addressing “CAGW” is a scientist, but there are plenty of scientists who do promote “CAGW”. Even if it were the case that the promoters were not scientists, say only the newspapers and not AAAS or the UCS, “CAGW” is well-defined by the many examples, and CAGW is worth rebutting because it is extensively promulgated and goes beyond what the scientific evidence is. CAGW is not defined? That’s false. CAGW is not widely promulgated? That’s false. CAGW requires personal definitions? That’s false. CAGW is not scientific? Or goes beyond what is supported by the scientifically amassed evidence? That’s the claim made by critics of CAGW. Perhaps you agree with the critics on this point, but don’t want to join their chorus of criticisms. CAGW is a “strawman”? That’s false, as demonstrated by the large collection of examples. CAGW is not scientifically defined? That is another way of saying that it is not scientific. Which is the claim made by critics. 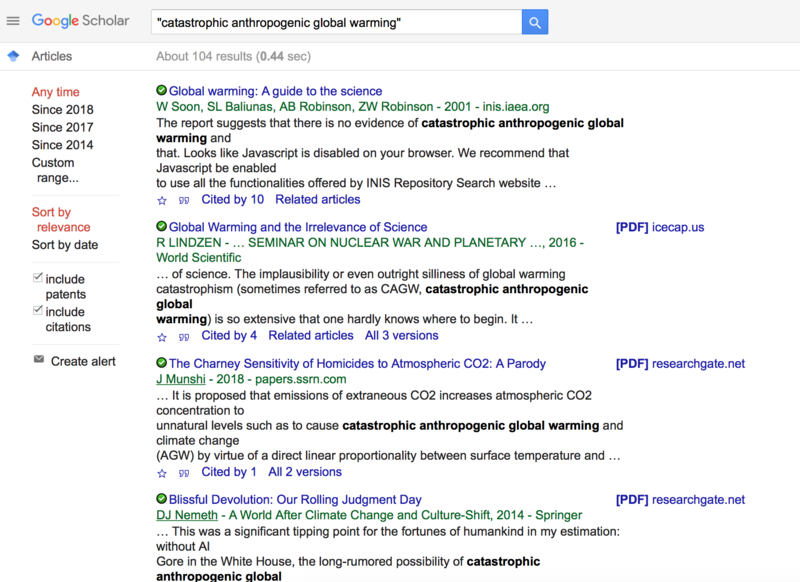 Scientists do not use the word “catastrophe”? That’s false, and they use many equivalent words and phrases. MM, I think catastrophic is used as a code word by skeptics to mean they think the danger is exaggerated. Once past this step, they can then dismiss any danger that might be posed as temperatures rise beyond 2 C of warming, which is the IPCC’s safety threshold. The straw man is that they say, no, it will never be sudden and catastrophic, end of argument, when the real IPCC argument is about slowly growing dangerous effects (droughts, floods, storms, fires, sea-levels, health, food, water, etc.). Once they accept there are also non-catastrophic dangers that grow insidiously, then they might see that there are real risks associated with the current trajectory that can be mitigated with agreements that are necessarily international. Words matter when framing an argument, and catastrophe is not helpful for looking at the real risks. Ted Nordhaus does a nice job of blaming climate alarmist/the Left for eliciting opposition from the Right, all while ignoring the beast in the room — the undeniable fossil fuels and public utilities #CronyCapitalism that has long bedeviled air, ground and water pollution policy and that has waged long and deliberate PR campaigns to maintain their favored positions. If the fossil fuels interests hadn’t insistent on clinging so tightly to favorable regulatory treatment, both sides might never have become so polarized. Actually, there is a vast middle ground — freer markets, greater consumer choice, greater innovation and collaboration — that they have both tended to ignore. Instead, everybody loves their shallow endorphin rushes. Meanwhile, Democrats are pushing for lower gasoline prices in the US, just like Al Gore did when he ran for president. It’s almost as if there is a consensus that lower-priced energy has a positive impact on people’s lives. Nordhaus is making the undeniable, actually boring, observation that making a very liberal partisan organization (CAP) the point-group on climate change was a needless own-goal. And now, after 30 years of failed effort and billions of dollars to get fantasy renewable solutions off the ground, you’re left facing the fact that climate advocacy is hitched to an unpopular political movement pushing an unworkable that plan nobody wants. Good luck. I’ll agree with your descriptions above but not your conclusions. I am old tired libertarian and have seen them before. Take ExxonMobil. Tell me about their limited liability related to their form of entity and how that’s mattered to date? At the same time keep in mind all the value they have generated. We remember value? ExxonMobil generates massive amounts of throughput value. Fossil fuels have been one of the drivers of our wealth and well being. While it operates not in the world we libertarians would prefer, it is under the attack by the Destroyers. As are the utilities. And it’s from the usual characters pushing pipe dreams more subsidized than the status quo. You at least have to bring value. So you want to play your disingenuous game here? Dateline 3 February 2015 – The Top UN Climate Change Official is optimistic that a new international treaty will be adopted at Paris Climate Change conference at the end of the year. However, the official, Christiana Figueres, the Executive Secretary of UNFCCC, warns that the fight against climate change is a process and that the necessary transformation of the world economy will not be decided at one conference or in one agreement. “This is probably the most difficult task we have ever given ourselves, which is to intentionally transform the economic development model, for the first time in human history”, Ms Figueres stated at a press conference in Brussels. Green overreach in ambitions of overthrowing capitalism and democracy in favor of a pissant progressive technocracy With economies centrally planned by an AI overlord I have heard from a player. Avatar was in fact a thinly veiled allusion to the depredations of capitalism on the spiritually evolved. You can be sure that if it quacks like a duck and calls itself a libertarian it’s a pissant progressive. Nor do I imagine that scientists by and large can be relied on to understand the right question even – let alone the great unwashed blogosphere. And yet they pontificate. This is not a battle about climate – but for enlightenment civilization itself. Correct. the way to achieve “rational progress” is to outright reject the “irrational”. In this case, any notion that man is responsible for or can can engineer/control global climate via a tiny increment of a trace gas. Cost is irrelevant (except for the massive harm the hundreds of millions being spent on this farce is doing). Another example of the great unwashed blogosphere with not the slightest clue about Earth system science. Warming hysteria simply blinds one to our real climatic threat of low solar periods. It is so thoroughly backwards that it requires exorcising and definitely not pandering to. A grand solar minimum of the scale of the 1250-1200 BC or 350-400 AD periods would be catastrophic for a number of regions, including the World’s bread baskets. The censorship seems to be heavy today. This is another reason I usually do not bother with this blog. Harry Twinotter: The censorship seems to be heavy today. There is no censorship. Some people are disagreeing with you. curryja: I am deleting sniping and substance free comments. Normally I would agree with you, or perhaps your 3rd party moderators (it is your blog after all). But you leave an awful lot of comments in that meet your criteria for deletion. So I do not see any balance here, one can speculate about the reasons for the bias. It is possible your judgement is subjective – why not let your readers decide on the merits of a comment – they are not children. Harry, The reason for moderation is to make the comment threads readable and useful exchanges. Some people (perhaps you) may not be able to make such contributions. Try to do better. DY, you’ve been moderated a lot of times, and deservedly so. Substance-free: speculation that they are now charging because Mann is demanding to be paid. JCH, Being moderated is not a negative. Whining about it is a sign of immaturity. I happened to get a glance at your snipped response to me. It deserved to be snipped—it was juvenile, smart-alec taunting. I honestly don’t care all that much, it is what I have come to expect from these types of echo-chamber despite the “free speech” narrative from some. I still see the censored comments in my email feed. “curryja: I am deleting sniping and substance free comments. Harry and my comments still make it through. Having said that though it is interesting that the moment a possibility of debate comes up the doubters and knockers surface and the more likely the matter is to get meaningful attention they surface in droves. It means Judith is doing something exceptionally right, gathering good attention for respectable views in a recognized audience, that leads to Mr Twinotter’s discord. Best of luck, speak softly and carry a big stick as someone once said. Remember Mann hates being reminded of hiding data, using upside down proxies and being made fun of. Use that when required when he is nasty or snide, quietly but insistently for a good reaction. With respect, with the valuable comments from such as jch, jim d, very tall guy, nick stokes, Mosh, ATTP and also yourself, I see little sign of an echo chamber here. No. You do care that much. Oops—I mistakenly posted this a bit above, too early, not under the appropriate comment’s “reply” button. 5. The evidence is now sound that the earth’s climate system is warming – surface temps, lower tropospheric temps, ocean heat content, montaine glacier and ice cap melting – and the consequent sea level rise. So the actual questions to debate – how benign or bad will get and how fast? OHC should contribute to SLR, but there’s uncertainty as to what other natural artificial variations may be occurring. Groundwater use is likely contributing, but I don’t think you want to deprive water to people, especially the third world where a lot of mining is necessary. Increased continental runoff due to increased impervious surface? Natural precipitation changes? etc.? In any event, sea level rise remains relatively slow. Is it really a crisis? Since the consistently modeled hot spot has consistently failed to appear, at least in the satellite era, the two largest feedbacks, water vapor and lapse rate, are mostly absent. This argues for a response closer to Steffan Boltzman – at the low end. But global warming is not a term in atmospheric motion. The important determinants of climate are related to motion including rotation of the earth, orbital parameters, location and orientation of the mountains and oceans. These factors, for century scale considerations are largely constant. AGW, particularly if it continues at the low end, may be largely irrelevant to climate. The problem with knowing a few simple things is that there is always a dynamic, deterministic chaotic planet of unknowns out there. Here’s my latest take on it. The problem with chaos is catastrophe – in the sense of Rene Thom. Regardless of what you think you may know – and assuredly ‘we’ don’t know it – the rational response is the same. One thing I know is that in the order of 100 billion tonnes of carbon is much better restored to soils and ecosystems than in the atmosphere – for a much more inspiring purpose. By what processes? For now, photosynthesis looks like the best mechanism by far. For agriculture, less disturbed and undisturbed vegetation, for restoration of forests and savannas..
Do you always say the first thing that comes into your head? For science start with Rattan Lal. But this is not something being done by science or – by and large – government. It is a global bottom up movement. Way beyond the fable of the tragedy of the commons – that I note Tokyo Tom – the pissant progressive in libertarian garb – recycles – is the polycentric governance of Nobel prize winner – in economics – of the late Elinor Ostrom. Robert I Ellison: Do you always say the first thing that comes into your head? What mechanism exactly is more cost-effective than photosynthesis? If you bothered to look at the Rattan Lal video – you would find that a tree is a poem written in the sky. Robert I Ellison: If you bothered to look at the Rattan Lal video – you would find that a tree is a poem written in the sky. sending up smoke signals no doubt. Khalil Gibran anyone? Anyway,,, no… more like sucking in carbon dioxide and spewing out oxygen. I carried a laughing baby all the way down a tropical mountain path with, cool, dappled light from the canopy of tall trees. Have you not realized yet that there is no other way to get carbon in the atmosphere into soils? It seems to that the symbiosis of plants and living soils would be obvious to the biggest idiot on the planet. Perhaps not. Robert I Ellison: It seems to that the symbiosis of plants and living soils would be obvious to the biggest idiot on the planet. So you are saying after all that photosynthesis is the best mechanism for removing CO2 from air? All I asked was what the best processes are. I came down on the side that for removing CO2 from the atmosphere, photosynthesis is by far the best. There is no other side and your habitual obfuscation of the triviality of your point – yet again – in just another pointless comment is legendary. Robert I Ellison: One thing I know is that in the order of 100 billion tonnes of carbon is much better restored to soils and ecosystems than in the atmosphere – for a much more inspiring purpose. MRM: By what processes? For now, photosynthesis looks like the best mechanism by far. RIE:If you bothered to look at the Rattan Lal video – you would find that a tree is a poem written in the sky. How about: Two roads diverged in a yellow wood? Whose woods are these I think I know ? I met a fool in the forest? Yellow? But quoting seems pointless – unless it is to quote out of context? OK, your point in quoting “I carried a laughing baby … .” was what? It was a poem of tree and sky told to a laughing baby. Completely original and perfect in context or not. One can hope, but I am not optimistic. The fundamental disagreements are moral and political, and few will listen to anything that conflicts with their morals or their politics. Warming due to GHGs accumulating in the atmosphere, and its potential negative consequences, will have to await technological solutions, many of which are already starting development; political solutions seem nonexistent. Is he saying he’s angry at people who care more about reducing pollution from gas guzzlers than about global warming? That has more immediate environmental effects. If your choice was more pollution and less global warming or less pollution and more global warming, which one would you choose? Which do you think Townsend would choose given his own narrative? It was mot entirely clear, but it seemed like he would be more angry at the environmentalists who agreed with him. 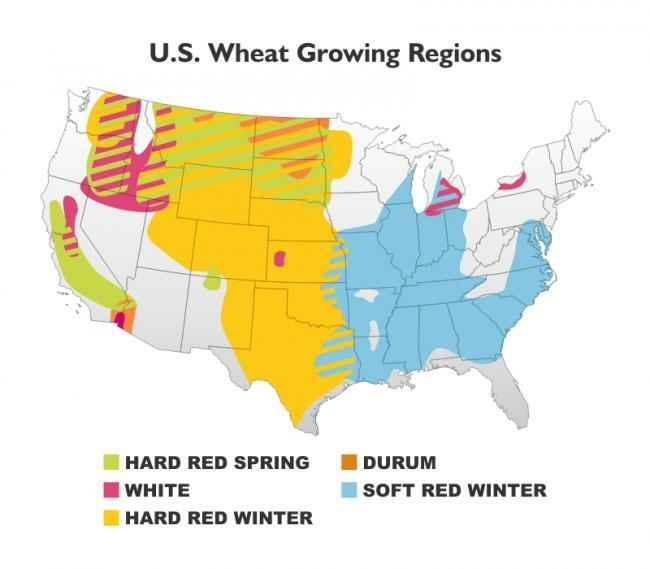 And restoring cropland and rangelands. Pingback: Weekly Climate and Energy News Roundup #319 | Watts Up With That? I’ll quit re-re-re-posting this when someone steps up and ‘splains how/why I’m wrong. nickreality65: I’ll quit re-re-re-posting this when someone steps up and ‘splains how/why I’m wrong. You haven’t understood the counterarguments so far. Pretend I just stepped out the saucer. Pretend you even know what those counterarguments are. Lay ‘em out 1 – 2 – 3 as succinctly as I did. You will be the first. The point is this. You only need to look what is happening with CO2 and global temperatures together. Over 2 C per doubling when you use 60 years of data. AGW explains it. You can’t. It may be that rather than just arrived – you left the planet some time ago. Correlation and coincidence are not cause just weather being weather. Can you defend the 33 C? 288 K? 255K? Can you defend the 396 W/m^2 upwelling LWIR? 236 MORE than the surface in/out balance of 160. A perpetual looping 333 W/m^2 appears out of nowhere. Yet we are expected to accept that this somehow does not violate conservation of energy. UAH temperature data does not reveal any significant warming trend. DMI & NSIDC data shows the polar sea ice behaving same as ever, taking turns shrinking to 3E6 km^2 every summer and growing to 15E6 km^2 every winter. Polar bears are doing just fine. Sea levels are rising at a whopping 3 mm per year. nickreality, looks like you finally found the answer to your own question. Yes, 288 K surface temperature does lead directly to 396 W/m2 upward IR. Congratulations. It doesn’t matter whether you are right or wrong, because it’s all just science. It’s irrelevant in the debate about dangerous/catastrophic climate change, and, therefore, irrelevant for policy. The only things that matter in the debate about dangerous/catastrophic climate change and for justifying policy are whether global warming (from whatever cause) is beneficial or harmful. Empirical evidence suggest global warming is beneficial, so GHG emissions are beneficial. They increase benefits during warming and reduce damages during cooling periods, so they are win win. Here’s another song on repeat. CO2 is a wedge and it is entering uncharted territory. Who knows what extreme state space of temperature and hydrology might emerge from crossing an unknowable threshold. But who cares if we can address human and development problems by putting carbon back in soils and ecosystems -and innovate on lower cost technologies in many areas. The latter is the innovation dividend on which economic growth depends. Not to innovate is to fall behind. It is a fundamental law of economics. Empirical evidence suggests warming is costly. Studies have shown that GDPs of warmer countries are lower than cooler ones. Even putting sea level aside, temperature damages the economy. Why, it is not clear because this is just empirical evidence. However, warmer temperatures also go with more diseases and shorter lifespans. Dana Nuccitelli? Why is there a preponderance of physics majors on the alarmist side? You know he is not really a trained environmental scientist? Or an Earth systems scientist? Or a hydrologist? Or anything else that really matters? But this is economics and he describes such crude uni-variate methodologies in an intrinsically multi-variate problem. Don’t like the message. Shoot the messenger. Figures. Further reading on what factors they looked at because you seem interested in that part. Empirical evidence suggests warming is costly. Not when all costs and benefits are included. If you disagree, show that the numbers I gave in the links are wrong, show what you believe the numbers should be, and provide the evidence to support your proposed correction. Studies have shown that GDPs of warmer countries are lower than cooler ones. Irrelevant. Different cultures and history. They d0n’t have the benefit of western civilisation which developed over a period of some 3,000 years – Greek, Roman, European law, governance, parliaments, democracy, The Enlightenment, Industrial Revolution, patents, universities, capitalism, laws to provide fair competition for businesses. Even putting sea level aside, temperature damages the economy. Why, it is not clear because this is just empirical evidence. Should I interpret that to mean you trust models over empirical evidence? However, warmer temperatures also go with more diseases and shorter lifespans. 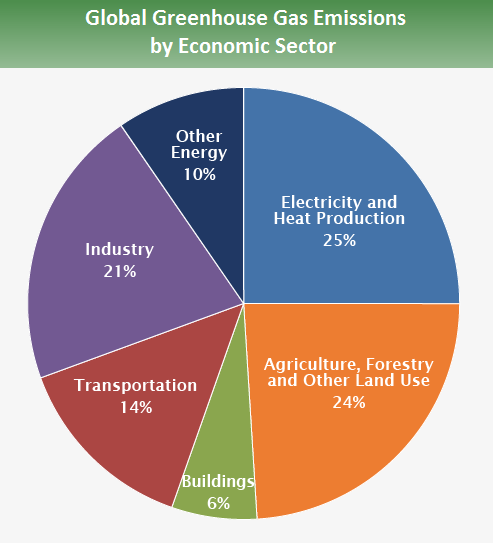 Firstly, this is cherry picking just one impact sector, so not the total impact of warming. Second, Tol (2013), Figure 3, shows health would benefit up to about 4C warming from 1900. 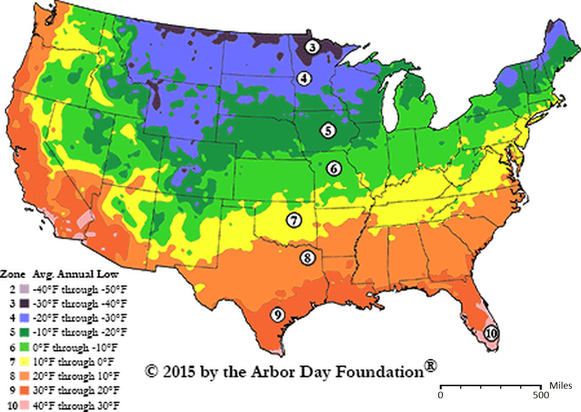 That seems to be what was described – average regional temps v. productivity. At least from the paywalled abstract Jimmy linked. On the basis of experience it is very unlikely that he has read it. I know I won’t. But did you notice first of all the loaded language of messenger and then hypocriticalky feigning outrage. Overall – a one star review for both of them. More pinheads on angels. Peter Lang, it looks like you have not read the study I linked. I think it makes a set of good points backed up by numbers and then shows that mitigation costs are cheaper by an order of magnitude than the warming costs of a few degrees. It’s the sinking boat analogy I have used before. Plug the hole (mitigation) and don’t just spend the whole time bailing out the water (adaptation). It’s cheaper in the long run. I am not interested in being diverted to your click bate. I’ve read hundreds of studies on the impacts including NAS, IPCC and the authoritative IAM’s, as well as others that have criticised and shown that key the IAM’s damage functions over estimate impacts. If you cannot find any errors in what I’ve presented, then just give up and go away. “… as well as others that have criticised and shown that the damage functions for some key impact sectors underestimate benefits and overestimate damages. If you cannot find any errors in what I’ve presented, then just give up and stop the diversions. RIE, they looked at factors relating warming to productivity, and it made the best sense with the concept of an optimal temperature around 13 C. Their numbers hold for a range of economies, agricultural or not, richer to poorer. I love it when you go all pedantic and pompous about a barely justifiable treatise you haven’t read. I have read it and digested it, but my guess is you haven’t. I presume you are trying to start another tiff, by bating and trolling – as usual, as you’ve been doing for the past decade or so on CE. Read Jimmy’s paper? I did say I wouldn’t. I think you would find it was 2011 when I first posted here. Well ahead of the curve. But I did think it was funny that you and Jimmy were talking at cross purposes based solely on your different confirmation biases. On a topic that is intrinsically inconclusive. It is completely nuts but that doesn’t slow either of you down. My amusement was on the endlessly repeated narratives from all of you. And right on cue. Have you any awareness of how hypocritical that is? You are as bad as each other. You demand proofs but without evidence that you are willing to contemplate any other opinion. That’s where Nick starts and ends. And then you and Jimmy literally copy and paste the same comments interminably talking past each other. Did we get anywhere or just get dizzy? 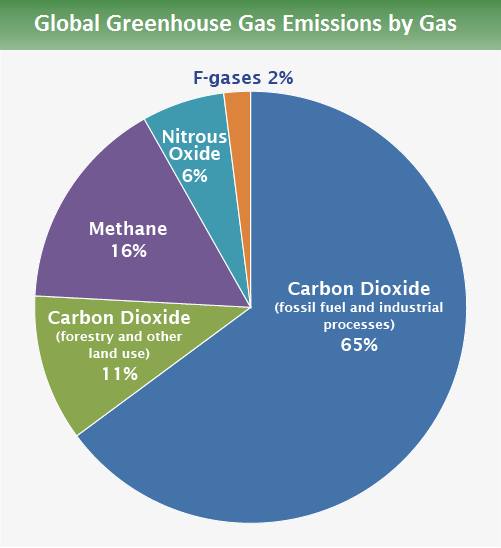 RGHE & GHGs don’t exist. Might as well make policy using Ouija boards, magic 8 balls and dice. Peter Lang, your link from Oren Cass does not say that warming is beneficial. He only quibbles at the cost estimates. Costly it is. You have yet to find someone who says it is beneficial in a publication with numbers that show how much, especially as it rises beyond 2 C. You seem to be the only person saying that, and you won’t attribute a dollar amount to it. Everything I have seen limits beneficial to 1 C, where we are now, and it is all downhill from here. Evidence from national GDPs is that warming degrades economies. Overestimated does not mean the same thing as the wrong sign. If you want to support it being beneficial, you need to find some numbers on how beneficial, and whether you mean globally beneficial or whether some will be impacted hard. Oren Cass provided no number of his own, but the Burke paper say that the mitigation is 1/70 of the cost of climate change. Even if the cost was off by 10 times, that would still make mitigation the better path. You said life thrives in warmer conditions. Error. We don’t, and there are GDP numbers, health reasons, and agricultural reasons that I gave to support that. How much more explicit can I get? Do you actually know what the discussion is about? Read and understand these links. Then explain what you think is wrong, what corrections you believe are required, and explain how you calculated the corrected figures. Thanks. No I don’t know what you are talking about. Something about more warming being beneficial then linking to things not saying that. That’s the age kids start talking—least, most of them do. he went boing boing instead! Original JC post is very interesting. It is amazing to me that there is an entire industry of “chatter” where people get paid so much to do so little. Then there are the “artists of science” who may be eccentric as heck on the surface, but have developed real solutions that can be scaled in many ways. My favorite example is the Earthship cluster in NM. Looks like some total hippie madness on the surface, but their fast-build adobe dwellings – if simplified and aimed at the poorest 2 billion people in the world, could do a world of good at extremely low marginal cost. These small adobe dwellings targeted at tsunami and hurricane zones of the poorest regions on Earth are quite durable – and each one probably costs less than the typical press conference in Washington DC. Experiments like these – targeted at the margins of the population wave sweeping the planet – could have done much more to avoid rapid increases in fossil fuel use than all the hot-air press publicity in the document that stimulated JC’s post.